Solar energy is on the rise in the United States. One policy, net energy metering, has been instrumental in the growth of solar energy, particularly on homes and businesses, but has been under increasing attack by utilities and other special interests, calling net metering an unjustified “subsidy” to solar users. Our report, “Shining Rewards,” reviews 11 recent analyses showing that individuals and businesses that decide to “go solar” generally deliver greater benefits to the grid and society than they receive through net metering. In 2015, we informed thousands of Oregonians about the benefits of clean, renewable energy right here in Oregon. In addition to highlighting the benefits of renewable energy sources, we also helped educate more than 50,000 Oregonians about the ways to save energy and money by installing solar panels on their roofs. By participating in clean energy opportunities, the average Oregonian can take control of their energy use, reducing emissions and decreasing our reliance on fossil fuels. Click here to visit our guide, "How to Go Solar." Environment Oregon Research & Policy Center would like to thank The Zephyr Charitable Foundation Inc. for supporting our work in Fiscal Year 2017. 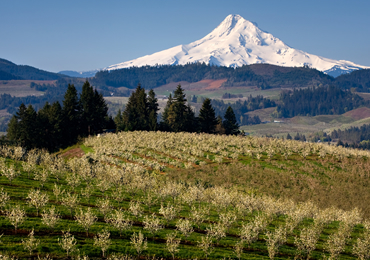 Environment Oregon Research & Policy Center gratefully accepts bequests, beneficiary designations of IRAs and life insurance, and gifts of securities to support our work. Your gift will assure that we can continue to protect Oregon's air, water and open spaces for future generations.